These days, GPS positioning is a fact of life for many people. GPS receivers are built into everything from phones to tablets to cameras, and standalone GPS devices loaded with maps continue to be popular with travelers (as well as hikers, pilots, and boaters). These days most vehicles come with at least an option for built-in satellite navigation. The idea of going somewhere without satellite positioning and maps at your fingertips — or snapping photos without geotagging data — can be as alien to people these days as hitching up a wagon for a run to the feed store. It’s an anachronism from another era. But speaking of anachronisms: The GPS system we know today reached its operational goals in mid-1995. Tn technology terms, that’s kind of just one step up from MS-DOS. But the U.S. government is well underway on a $5.5 billion project to roll out GPS III, with the goal of making GPS more powerful and more accurate than ever. 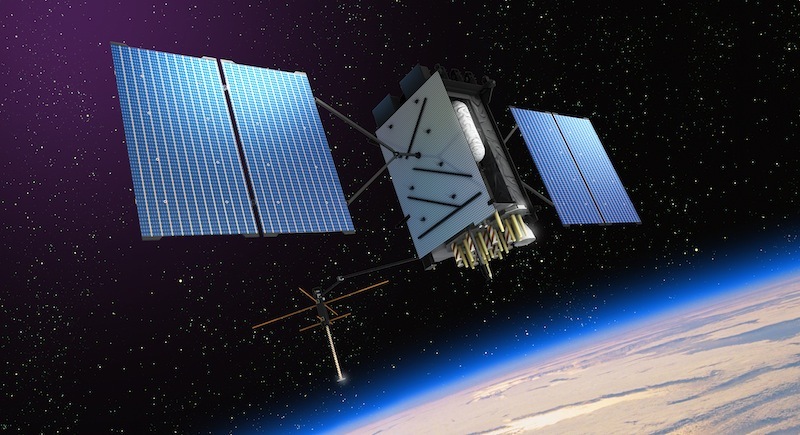 Today, Lockheed Martin announced it had delivered its first test satellite for GPS III. This satellite isn’t intended to go into space: Instead, it’s a testbed prototype that will be be run through a broad range of tests, including being subjected to very low-temperature conditions and radiation to mimic the effects of being in orbit, along with interference tests. If all goes well, the first launchable GPS III satellite should go into orbit in May 2014. What benefits will GPS III bring, and when can we expect to use them? The U.S. government started gearing up for GPS III all the way back in 1998, and authorized funding for the effort in 2000 — that means some benefits and improvements have begun rolling out already. As originally deployed for civilian use, the GPS system uses one type of radio signal, called L1 C/A. GPS III will add three new civilian signals to that mix — L2C, L1C, and L5 — while keeping the L1 C/A signal operational for a total of four civilian signals. From the perspective of everyday GPS users, the most important may be a second civilian GPS signal, dubbed L2C. The L2C signal is a bit clearer and easier to receive than the legacy L1 C/A signal used by most GPS receivers today. L2C offers about 1.7 db better data recovery and 0.7db better carrier tracking, so it operates at a higher effective power than the existing L1 C/a signal. Yes, that’s a bit geeky — boiled down, just know that boosting a signal by 3db makes it twice as powerful, so a 1.7 db gain is a significant increase in GPS signal strength. More effective power means L2C will easier to pick up in difficult environments like urban canyons, under significant tree cover, or even indoors. There’s another a real concrete benefit to L2C: Operating L2C right alongside the old-school L1 C/A means GPS receivers equipped for L2C will be able to compensate for ionospheric delay error for a particular GPS satellite just by comparing the two signals. Ionospheric delay is the biggest cause of errors in the existing L1 C/A signal, and GPS units work around it today by using other sources of information, like the FAA’s Wide Area Augmentation System (WAAS) or the locations of nearby Wi-Fi hotspots. (That last is how most smartphones and tablets do it.) By being able to compensate for ionospheric delay without relying on (and waiting for) other sources, the positional data from L2C signals should be more accurate. Current civilian GPS is accurate within about 3 meters, but GPS systems using L2C should be accurate to within about 1 meter. Geocachers everywhere may begin rejoicing. The L1C signal is probably of most interest to world travelers. It’s designed to make the U.S.’s GPS system interoperable with similar systems around the world, like Europe’s Galileo, China’s Compass, India’s IRNSS, and Japan’s QZSS. The L1C signal specification was originally developed to work as a common signal for US GPS and Galileo, but had been adopted by other systems as well. L1C provides the original C/A code to ensure compatibility with older GPS models, boosts effective power by 1.5db (again, that means it’ll be easier to receive in difficult areas), and it includes a pilot carrier (basically, a static signal with no data, think of it like a prolonged beep) to improve tracking. Once the L1C signal is rolled out and people have GPS receivers that can handle it, they should be able to use that device with a wide range of positioning systems operated all over the world. The third new civilian signal is L5, dubbed the “safety-of-life” signal, and it’s intended mainly for aviation and transportation. It’s twice as powerful as the L2C signal (so it’s easier to receive), has much greater bandwidth, can operate over huge ranges (with augmentation), and has an enhanced signal structure so it can carry more data. Although aimed at transport, the L5 signal has everyday applications: Receivers that can handle L1 C/A, L2C, and L5 should be able to leverage all three signals with a technique called trilaning to get location accuracies to less than one meter. Geocachers can rejoice even more. The higher power for civilian GPS signals means they should be less subject to interference and jamming. Current GPS signals are low power, and GPS receivers have to be notoriously sensitive to accurately pick up GPS signals. (This is why LightSquared’s LTE network base stations seem to be wreaking havoc with nearby GPS receivers.) High-sensitivity receivers are very easy to jam, and (illegal) pocket-sized GPS jammers have been widely available since the late 1990s, with some of the most notorious uses happening in Iraq and Afghanistan in an effort to derail the U.S. military’s GPS-assisted vehicles and weapons systems. 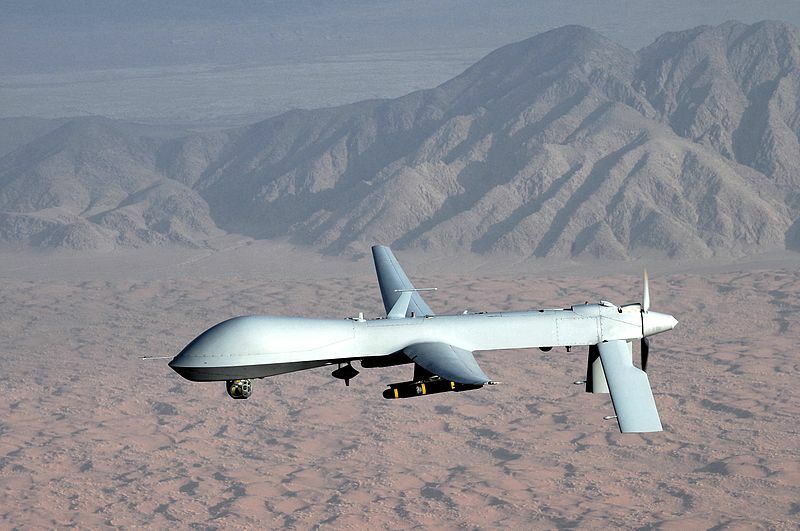 From a security perspective, the U.S. and other countries have also been concerned about the use of GPS jammers to disrupt aviation, shipping, and transportation. The GPS III design, and the L5 signal in particular, are designed to make GPS more resistant to jamming. And that’s just the civilian signals: GPS III also includes high-bandwidth M-code signals designed for military use. GPS III satellites will also sport a tremendous departure from the designs of previous GPS satellites: In addition to a standard wide-angle (whole Earth) antenna for broad coverage, the GPS II satellites will include a high-gain directional antenna. The direction antenna will operate with 100 times (+20db) the power of the wide-angle antenna, and will be exclusively for use with M-code transmissions. This means the U.S. military will be able to use GPS III satellites’ directional antennas to boost the power of military GPS signals by 100 times in particular regions, making military GPS will be even harder to jam. When will GPS III be available? So here’s the downside to all these GPS improvements: They take time develop, test, and get up into orbit. Once the systems are in space, users on the ground will need to upgrade to new GPS receivers that can use the new signals. That means your current smartphone isn’t going to support L2C, L1C, or L5, nor are your handheld GPS or the satellite navigation system in your car. You’ll have to buy new kit. The new GPS signals can’t be particularly effective until they’re available on at least 18 GPS satellites. Support for the L2C signal has been included in every Block IIR-M satellite that’s been launched since 2005: As of right now, L2C is supported by about 10 GPS satellites, and by 2016, that should be about two dozen. So L2C will get out the door first, improving GPS reception and accuracy. The first satellites with L5 signal capability were launched in 2010, and L5 is currently deployed for testing on two GPS satellites. Unfortunately, the GPS III rollout doesn’t have the L5 signal getting out to 24 satellites until about 2019. Finally, the L1C signal (which works with Galileo and other positioning systems) won’t start launching until 2013 with the GPS IIIA satellites. Current estimates put L1C on 24 GPS satellites around 2020 or 2021. So yes: by the time GPS III is fully operational, it’ll probably seem as dated to us as Windows 95 and first-generation Pentium processors do now. But, it’s still better than MS-DOS!